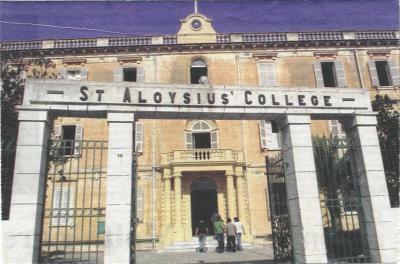 Through this website the Old Aloysians' Association of Malta (OAA) will endeavour to reach all Past Pupils (Old Aloysians (OAs)) of St Aloysius College, B'KARA, MALTA whether they are living in Malta or in various parts of the world. The Association wil use this medium to do its best to collect as much information as possible from OAs so that it may publish a sort of a Who's Who which has been in the mind of the OAA for quite some time now. Towards this end the OAA is putting elsewhere on this site a Data Collation Form which contains fields in which OAs can enter all the data which is considered feasible in order to build this Who's Who. Moreover, the OAA will use this site to put relevant information on what the Association is doing and is planning to do in future.